The Computer Mirror Memo Holder helps you to be in ship shape condition, without leaving your desk. Imprint your company’s logo on the product to gain widespread visibility for your brand. 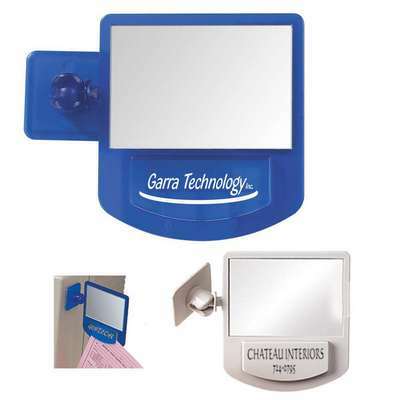 The mirror memo holder attaches to any computer and holds memos at eye level. Your clients can check out their smile and style while glancing through the notes. The mirror with memo holder is available in computer gray and translucent indigo colors. It makes an ideal giveaway this holiday season at offices and trade fairs and increases your brand’s outreach.